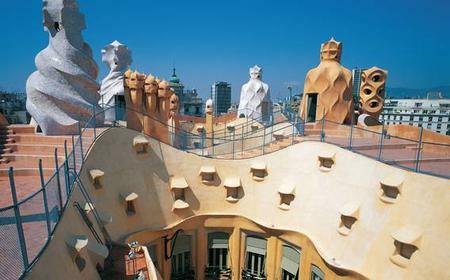 La Pedrera, as Casa Mila is locally known, is one of Antoni Gaudi's most eccentric and enticing architectural creations. 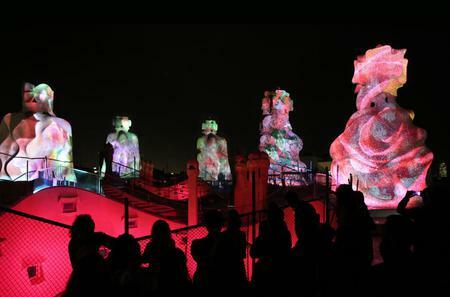 La Pedrera, as Casa Mila is locally known, is one of Antoni Gaudi's most eccentric and enticing architectural creations. 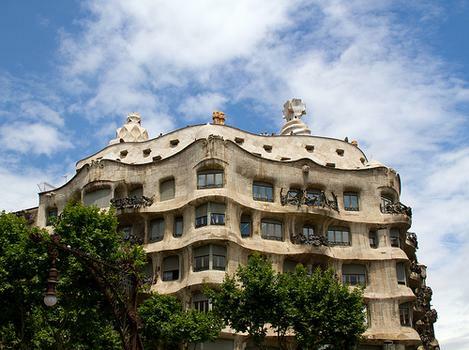 Built in 1906-'10 as the residence of businessman Pere Milà and his wife Roser Segimon, the modernist building's undulating grey limestone façade does not seem to have a single straight edge. 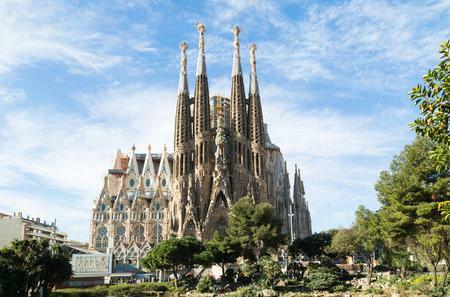 It is a UNESCO World Heritage Site as part of the 'Works of Antoni Gaudi'. 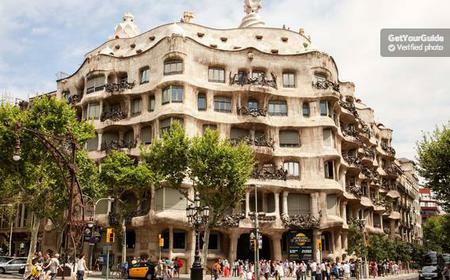 The façade of the 9-storey landmark features twisting wrought iron balconies and windows designed by Josep Maria Jujol. 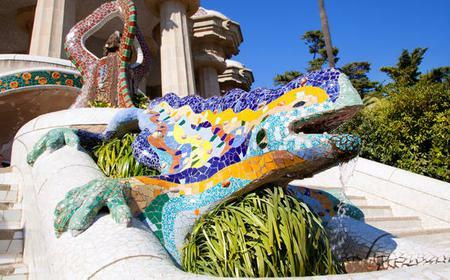 Most railings have abstract shapes, though few have specific details such as a dove, a theater mask, a six-pointed star, various flowers and the Catalan shield. 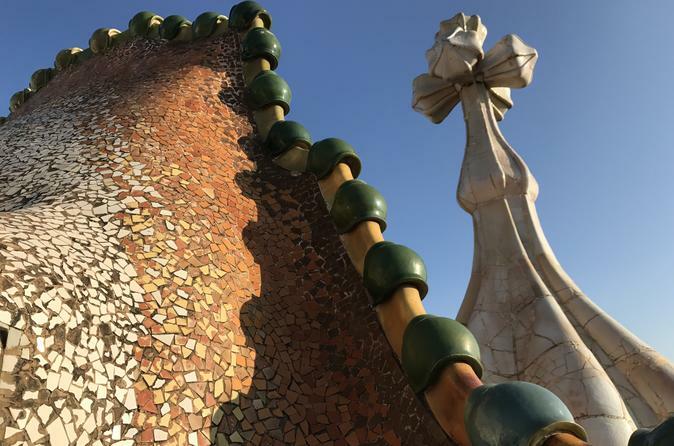 Gaudí's religious leaning is evident on the upper cornice, which features carved rose buds with inscriptions of the Ave Maria in Latin. The interiors are split into 2 buildings around 2 asymmetrical courtyards. 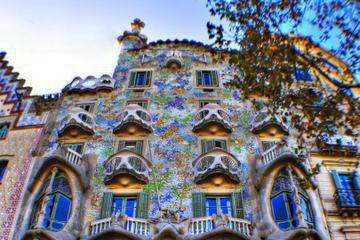 Admire the fanciful shapes and quirky design of Gaudi's masterpiece on a tour of the Casa Mila. 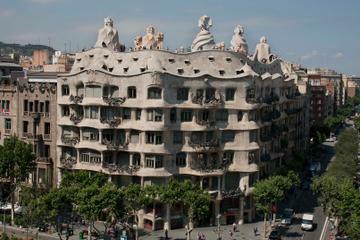 The Pedrera Apartment recreates the home and life of a Barcelona bourgeois family from the 20th century. 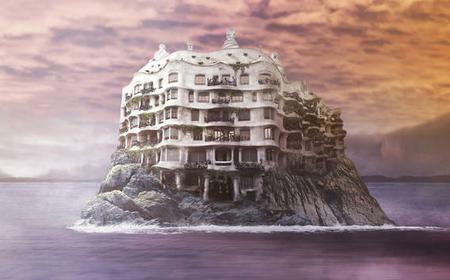 The elegantly furnished home interiors were done by Josep Maria Jujol and painters Aleix Clapés, Iu Pascual, Xavier Nogués, and Teresa Lostau. 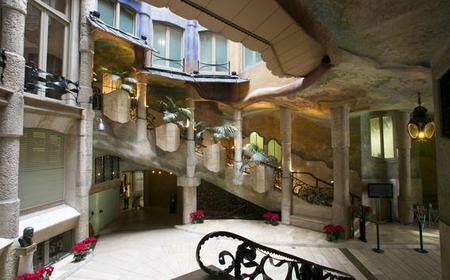 Of particular note are the murals in the entrance halls by Aleix Clapés with ornamental motifs and themes from mythology such as scenes of The Metamorphoses of Ovid, as well as Pedro Calderón de la Barca's 'La Vida es Sueño' (Life is a Dream), and the Seven Deadly Sins. Decorative elements and fixtures such as light fittings and door handles are all free-form curves, with false gypsum ceilings evoking sea waves, as well as marine ornamental details such as octopuses, shellfish and marine flora. 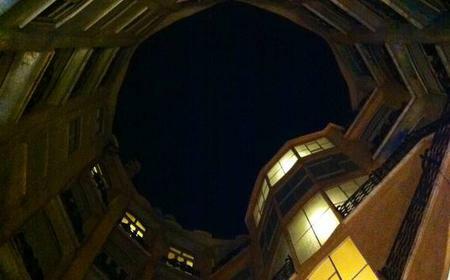 The roof is another extraordinary architectural marvel, with chimney vents resembling masks of medieval knights. Short concerts are often staged up here in summer. 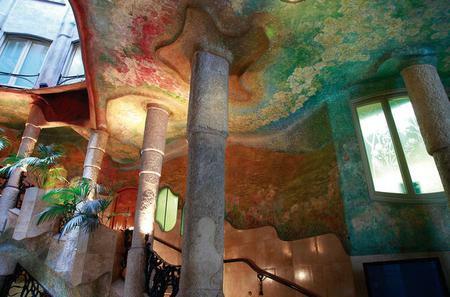 The top-floor apartment, attic and roof are together called the Espai Gaudí (Gaudí Space). 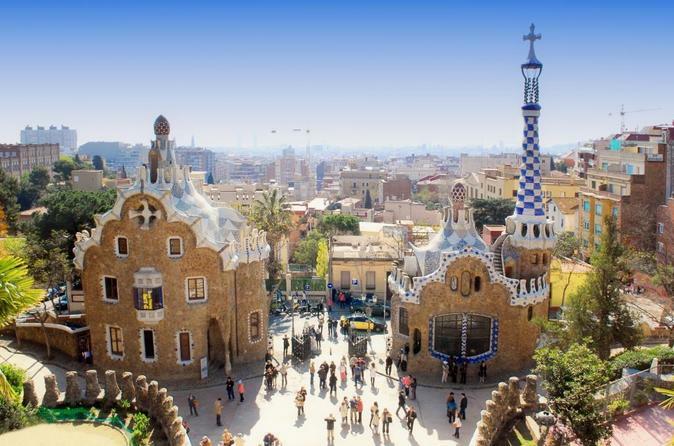 You can also visit the museum dedicated to Gaudí’s work.